Product #239 | SKU 35HT | 0.0 (no ratings yet) Thanks for your rating! 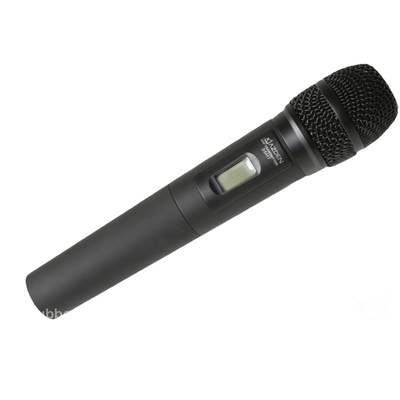 The 35HT from Azden is a handheld microphone with a built-in UHF transmitter. When used with an Azden 305UPR or 325UPR wireless receiver (not included), the 35HT will transmit audio to the receiver. The 35HT is "frequency agile," meaning that if you were to experience interference, you can adjust the channel the system operates on in order to find a channel that does not have interference. An LCD screen is featured on the body of the 35HT, displaying the channel that the system is currently operating on, and a 3-step battery life indicator. It operates on two AA batteries, and features 188 selectable UHF channels.